MANILA, -- Amid Duterte riff, PAF gets C-130 2nd cargo plane from the US the Philippine Air Force's fifth C-130 cargo aircraft, acquired through the United States' Excess Defense Articles (EDA) program, arrived in Mactan, Cebu, on Sunday. The aircraft arrived in the middle of President Duterte's harangue against the United States for past slights and his avowd move to position the Philippines closer to China and Russia, historical foes of the US. PAF spokesperson Col. Antonio Francisco said the Lockheed C-130 Hercules cargo plane flown by Maj. Marjorie Mukay, the pilot in command, landed at Benito Ebuen Airbase in Mactan. "Major Mukay is the first female pilot to be certified as a pilot in command of a C-130 aircraft," Francisco of toll Reporters. 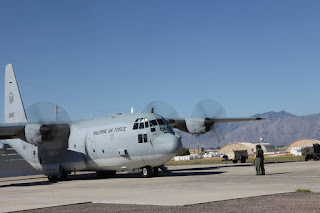 The C-130 left Davis -Monthan Air Base in Tucson, Arizona, on Oct. 6. The other crew members were Lt. Col. Joey Inacay, mission commander; Lt. Col. Jason Rom Lacida, aircraft commander, and Maj pilots. Anthony Amora, Maj. Meritto Jay Quijano and Maj. Ronel Salas. 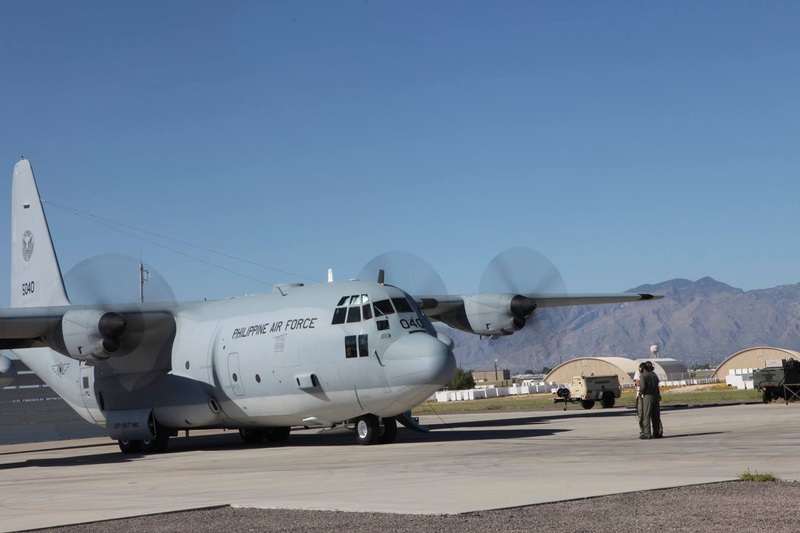 The newest C-130 and another one that arrived in April-valued at around $ 61 million-were originally configured as airborne tankers, According to the Air Force official. The PAF's air assets for logistics and lift missions are now composed of the five C-130s, as well as three Airbus Military C-295 medium aircraft and three Fokker F-27 transports. The US defense department's Defense Security Cooperation Agency is responsible for administering the EDA program. Under authorities established in the US Foreign Assistance Act of 1961 and the Arms Export Control Act, defense Articles declared as excess by the US military departments may be offered to foreign Governments or international organisasi in support of US national security and foreign policy objectives as well as in the armed forces modernization Efforts of US allies. The Philippine Air Force 2nd C-130 landed at Benito Ebuen Air Base in Mactan Cebu.